On Sept. 9, “Stars of Lyric Opera at Milllennium Park” showcases arias from Carmen, Eugene Onegin, The Magic Flute and Lucia di Lammermoor for a taste of the Lyric Opera’s 2016-17 season plus other operatic numbers by Mozart, Verdi, Gounod, Tchaikovsky and Wagner. Five days later, on Sept. 14, the “Third Annual Fifth Star Awards” honors blues musician Buddy Guy, The Second City improv theater, actress/Black Ensemble Theater founder Jackie Taylor, photographer Victor Skrebneski and National Museum of Mexican Art founder Carlos Tortolero. For the opera event, soprano Ana Maria Martinez, mezzo-soprano Tanja Ariane Baumgartner,, baritone Quinn Kelsey, bass baritones Eric Owens and Samuel Youn and basses Tobias Kehrer and Wilhelm Schwinghammer perform with the Lyric Opera Orchestra and Chorus led by Lyric Music Director Sir Andrew Davis. Other performers include members of The Patrick G. and Shirley W. Ryan Opera Center. 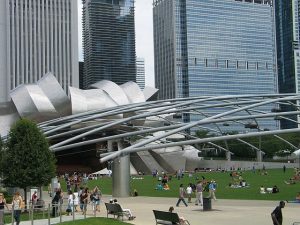 Details: Stars of Lyric Opera at Millennium Park will be in the Jay Pritzker Pavilion, 201 E. Randolph St., Chicago, IL, Sept. 9, 2016 at 7:30 p.m. For other information visit Stars of Lyric. The Fifth Star Awards is somewhat like the Kennedy Awards night in Washington D.C. Along with honoring contributors to Chicago’s vibrant arts scene, the evening has guest performers and speakers. For the Third Annual awards, the hosts are The Q Brothers and guests include Cindy Crawford, Fred Willard, Chester Gregory, Shemekia Copeland, Guy King, Sones de México Ensemble, Black Ensemble Theater and The Second City. Details: Fifth Star Awards is in the Jay Pritzker Pavilion, 201 E. Randolph St., Chicago IL, Sept. 14, 2016 at 7 p.m. For other information visit Fifth Star.